Nova Scotian Peter Allen is one of Canada’s most respected and talented musicians. He is known nationally as a concert pianist, composer, conductor and teacher. As a concert pianist, he has been heard for years on CBC regional and national radio performing solo works, concertos with orchestra, and chamber music. He continues to stay busy performing many concerts, as well as participating regularly with Scotia Festival, The New Brunswick Summer Festival, the Kincardine Music Festival, Musique Royale and as soloist with numerous orchestras centered here in the Maritimes. He has recorded two solo cd’s as well as numerous duo recordings with flautist Patricia Creighton. As a composer, Peter has fulfilled many commissions. He has written orchestral music: Mar Atlantico; Variations on the Halifax Explosion; a Suite for Clarinet and Orchestra; and the much heralded CBC/SNS commissioned Hurricane Juan Piano Concerto. His much chamber music includes 2 String Quartets; Scherzo for 4 celli; Elegy for violin and piano; and other string pieces. Music for piano includes Haligonian Rhapsody for 2 pianos; Vaudeville for piano 6 hands; 90 Bagatelles and many other solo pieces. His wind music includes Black and Blues for Clarinet and piano; and 2 pieces for flute and piano, most recently a suite called Scenes from Nova Scotia. Other works include music for band and choir. His most recent work, Lamentation was premiered in France in April of 2016, a work for clarinet quintet, which was later repeated in an entire concert devoted to his works on the Cecilia Concert Series in Halifax in February, 2017. This season has been another busy year for Peter. Some highlights include: more composition; numerous concerts, including five performances of Bach’s Goldberg Variations; also, a concert in Kitchener with Patricia Creighton and duo performances in Halifax, St.Johns, Toronto and Edmonton and of course, Yellowknife, with violinist, Robert Uchida, performing the complete Brahms Sonatas. He also conducted 2 performances of his Variations on the Halifax Explosion for the city’s 100th anniversary of that event. Peter is currently Associate Professor of Music at Dalhousie University's Fountain School of Performing Arts where teaches piano and conducts the Dalhousie Symphony Orchestra. Hilary Brown is currently a cellist with Symphony Nova Scotia, the Blue Engine String Quartet, and two early music ensembles: Tempest Baroque Ensemble and Réjouissance. She is also on the faculty of the Maritime Conservatory of Performing Arts and a cello coach for the Nova Scotia Youth Orchestra. Hilary has performed as a soloist with Symphony Nova Scotia and has been heard frequently as a chamber musician on CBC Radio. She has performed on many Maritime concert series such as Musique Royale, the St. Cecilia Concert Series, Musique Saint-Bernard, the Music Room Chamber Series, the Indian River Festival on Prince Edward Island, the Scotia Festival of Music, the Garden Room Series at Acadia University, the Halifax Jazz Festival, the Mahone Bay Summer Concert Series, the Boxwood Festival, Music Toronto, and the Halifax Summer Opera Festival. Canadian tenor Jason Davis has been hailed by critics as “truly an amazing tenor” and “one of the most exciting voices of his generation possessing a voice of tremendous beauty, colour and power”. Daphna Levit of Opera Canada Magazine recently wrote “Jason Davis was perfect as the unscrupulous Duke of Mantua; his huge voice effortlessly communicated whatever emotion he choose to portray - delight, desire, contempt or arrogance.” His concert work has recently included a performance of Verdi’s Requiem with Collegium Cantorum and appearances as a Cecilia Concert Series Co-Artist in Residence, Vocal Soloist for the Port of Wines Festival (Symphony Nova Scotia) Handel’s Messiah (Acadia University) Vaughn William’s On Wenlock Edge (The Scotia Festival Chamber Music Society) Haydn’s Mass in the Time of War (Paukenmesse) (Farmington Valley Orchestra), Beethoven’s Missa Solemnis (Dalhousie Orchestra), Bach’s Christmas Oratorio (Coro Collegium), Vaughn William’s Four Hymns (Eastern Connecticut Symphony Orchestra) and Bach’s St. Matthew Passion (Kings Chapel Choir). Jason’s operatic performances have included roles with Opera New Hampshire, Opera Connecticut, The Opera Theater of Connecticut, Opera New Jersey and recent performances as Rodolfo in Pucinni’s La Bohème, The Duke of Mantua in Verdi’s Rigoletto and Canio in Leoncavallo’s I Pagliacci for The Maritime Concert Opera and Florestan in Beethoven’s Fidelio for Opera Nova Scotia. Some highlights from recent seasons have included the roles Rodolfo in Luisa Miller (Opera Nova Scotia), Soliman in Zaide (Opera Nova Scotia) Tamino in Die Zauberflöte (Opera New Brunswick) and Idomeneo in Idomeneo (Opera Nova Scotia). Along with his busy performing schedule Jason is a founding member and the principal stage & artistic director of the Halifax based vocal theatre group Breaking Waves. He also maintains an active teaching schedule at the Maritime Conservatory where a number of his students have gone on to pursue national and international studies in music and voice. Originally from London, Ontario, Jon-Paul Decosse has been described by Opera Canada as having a "powerful, full-throated bass-baritone". An alumnus of the Canadian Opera Company Ensemble Studio, Jon-Paul's favourite COC roles include Schaunard in La boheme, Sciarrone in Tosca, and Don Alfonso in Cosi fan tutte. Other memorable appearances across Canada include Colline in La boheme (Edmonton Opera, Opera Hamilton, Calgary Opera), Buonafede in Haydn's Il mondo della luna (Toronto Opera in Concert), and the title role in Verdi's Falstaff (Opera NUOVA, Highlands Opera). Now based in Nova Scotia, Jon-Paul primarily invests his talents locally, with performances including the bass solo in Verdi's Requiem (Nova Sinfonia), Leporello in Don Giovanni (Opera Nova Scotia), bass soloist for Handel's Messiah (Symphony Nova Scotia), and Captain von Trapp in The Sound of Music (Broadway Atlantic). Mr Decosse is also featured on Maureen Batt's debut album, Lady of the Lake, which was recently nominated for a 2018 East Coast Music Award. Australian-born pianist Simon Docking has appeared as a soloist for Toronto’s Soundstreams, the Winnipeg New Music Festival, Scotia Festival of Music, Symphony Nova Scotia, Acadia University’s Shattering the Silence, Australia’s Aurora Festival, the new music group Stroma in New Zealand, and MATA Festival in New York. Simon has often been heard on CBC Radio Two’s Two New Hours, The Signal, and Concerts on Demand. Internationally his performances have been broadcast on ABC Classic FM (Australia), Swedish Radio, and Radio New Zealand. Active as a chamber musician, Simon has been a founding member of several ensembles, including the Toronto-based group Toca Loca, which has been presented by nearly every new music series in Canada from St John’s to Vancouver, as well as appearances in New York, California and at the C3 Festival at Berlin’s legendary Berghain. Toca Loca have released two CDs: P*P (2009) and SHED (2010). Simon studied piano in Australia with Ransford Elsley, and holds a doctorate in piano performance from SUNY Stony Brook, where he worked with Gilbert Kalish, and upon graduation was awarded New York State’s Thayer Fellowship for the Arts. In October 2011 Simon received an Established Artist Recognition Award from the province of Nova Scotia. Canada’s first and only Inuk classical singer, Deantha Edmunds, has performed on stages across the world. Originally from Newfoundland and Labrador, Edmunds is a laureate of the prestigious Hnatyshyn Foundation REVEAL Indigenous Art Awards. In the spring of 2018, Edmunds was the soprano soloist in “Makkipok! ", a unique program of Labrador Inuit Music with renowned Lady Cove Women’s Choir, Newman Sound Men’s Choir and the Newfoundland Symphony Orchestra. Edmunds also presented a program of solo Inuktitut arias and her own compositions as part of the Cecilia Concert series in Halifax, Nova Scotia. Edmunds uses her talents for writing and music composition to empower Indigenous people and share their stories. An Urban Inuk, she explores and embraces her Indigenous identity through poetry and song. On Canada Day, 2018, a new composition, "Song of the River”, arranged for string quartet and choir, was performed by Nunatsiavut's Inuit youth choir “Ullugiagâtsuk" in St John’s, Newfoundland. The event entitled “… float…” was an immersive choral experience that was part of the Canadian Choral Conductors Association 2018 Podium Festival. Most recently, Edmunds performed at the Inuit Circumpolar Conference in Utqiagvik, Alaska in July, 2018. Delegates from Canada, Alaska, Greenland and Russia gathered to share information and strengthen the bonds between all Inuit. Born and raised in Seoul, Korea, Danbee Ko began her study of piano at the age of six and moved to Canada with her family at the age of thirteen. In 2014, she graduated with a Bachelor of Music in Piano Performance, studying under the instruction of Dr. Deanna Oye at the University of Lethbridge. Danbee’s great passion for music and for musical collaboration led her to pursue a Master’s degree in Collaborative Piano at the University of Western Ontario, under the instruction of Dr. John Hess and Marianna Chibotar. Throughout her tenure at UWO, Danbee received first place in Maritsa Brooke's 2015 Concerto Award at the University of Western Ontario, where she performed a concerto under the baton of Shalom Bard and graduated with distinction. After completing her Master’s degree, Danbee accepted the position of Staff Accompanist in the Fountain School of Performing Arts at Dalhousie University and relocated to Halifax, Nova Scotia in September 2016. Since her move to Halifax she has been an active member of the music scene not only in Dalhousie University but other works such as collaborating with the Rhapsody Quintet, Halifax Summer Opera Festival, as well as producing a number of recordings with various Halifax-based musicians. In 2018 Scotia Festival, Danbee has been appointed to be the Young Artist Co-ordinator and she is looking forward to working with many more musicians and make music together in the future. Xara is Canada's leading creator of narrative-based choral theatre performances. In a professional, collaborative environment, the ensemble gives life to sung stories that are a feast for the senses and heart-felt explorations of identity, community, and culture. Based in Kji'puktuk/Halifax on traditional Mi'kmaq territory, Xara was formed in 2007 when Artistic Director Christina Murray and a team of four women began a year-long process to create an ensemble that embodied their passion for music making, integrative arts, and community building. For its first ten season, choreographer Claire Leger served as associate artist and co-artistic director as the ensemble explored the boundaries of its interdisciplinary art form. Xara’s work has gained national and international recognition for its innovation in the genre, telling stories both true and mythical through a rich tapestry of challenging choral repertoire, movement, lighting, spoken word, and visual elements. Xara's creative team and many acclaimed collaborators have led the group to appearances at Festival 500, the Atlantic National Event of the Truth and Reconciliation Commission of Canada, the Titanic 100 commemoration, and 14-show tour of Ontario, to name a few. In July 2013, Canada’s national choral competition proclaimed Xara the top women’s choir in the country. In 2015, the group released their first full-length album, Here on These Branches, which was nominated for a 2016 East Coast Music Award and a Nova Scotia Music Award for Classical Recording of the Year. Christina Murray approaches her conducting practice through the voice and is known for her innovative programming. In addition to undergraduate and graduate studies in music and feminist theology, Christina has trained under Diane Loomer, Jon Washburn, Michael Zaugg, and Elise Bradley. As a noted choral soprano, she tours regularly with the Canadian Chamber Choir. Outside of Dalhousie University, Christina is Co-Artistic Director of Xara Choral Theatre Ensemble which was ranked the top women’s choir in Canada in 2013. She also conducts Xara Youth Ensemble for girls ages 14-18 and the Bay Chorale, a joyful community choir in the Tantallon area. Lucas Hernandes Nascimento began his musical education at the Federal University of Paraná as a guitarist, while surrounded by popular and traditional South American culture. As a student he worked with concept art in graffiti, soundtrack development and circus productions. While attending Algoma University in Sault Ste. Marie, Ontario as an exchange student, he had the opportunity to perform in a local production of Les Miserables and became interested in studying classical vocal technique. This led him to complete a Bachelor of Music in Vocal Performance at Dalhousie University under the tutelage of Professor Marcia Swanston. Recent performances include the title role in The Magic Flute with Dalhousie Opera, guest appearances with Michael Kaeshammer, and in the cross-Canada streaming concerts series, Mysterious Barricades. Lucas attended the summer opera program Si Parla, Si Canta! in Urbania, Italy and Wendy Nielsen's Opera Workshop for Advanced Singers in St. Andrews, New Brunswick. Lucas’s studies are ongoing to become a better conduit for art and is looking forward to perform in Mysterious Barricades 2018. Praised for his “assured and lovely” playing, Leonardo Perez has taught violin and viola at Indiana University of Pennsylvania (IUP) and was the Orchestra Director of the IUP Symphony Orchestra. He is currently on faculty at Dalhousie University in Halifax, Nova Scotia as Lecturer of Violin/Viola and Head of Strings beginning in the fall of 2018. As an active orchestral, chamber and solo performer, Leonardo has performed with orchestras throughout the United States such as the Des Moines Symphony Orchestra, Quad City Symphony Orchestra and Evansville Philharmonic. Additionally, he served as Acting Principal Second Violin with the Johnstown Symphony Orchestra in Johnstown, Pennsylvania. As a chamber musician, Leonardo performed as violinist of the Litton Piano Trio at IUP, and has appeared regularly as an Alumni Artist of the Four Seasons Chamber Music Festival in Greenville, NC, where he has performed with artists such as Xiao Dong Wang, Michael Kannen, Hagai Shaham, Colin Carr, Emanuel Gruber and Ara Gregorian. He has also performed recitals throughout the state of Iowa as first violinist of the Voce String Quartet. An active and dedicated teacher, he is certified in Suzuki books 1-10 and taught for three years in the public school system in Snow Hill, North Carolina through the Greene County Suzuki Association. He has been invited to work with students at the East Carolina University Summer Chamber Music Institute, and coached undergraduate chamber ensembles at the University of Iowa as an Assistant Chamber Music Coach. He has also coached chamber music at the renowned Preucil School of Music in Iowa City, Iowa. As a conductor, Leonardo has conducted the IUP Symphony Orchestra, ECU Symphony Orchestra and the ECU Chamber Orchestra, collaborating with both faculty and guest artists. Leonardo received his Bachelor of Music degree from East Carolina University. He holds a Master of Music degree in Violin Performance from the University of Southern California, and a Master of Music degree in Orchestral Conducting from East Carolina University with doctoral studies at the University of Iowa. His principal teachers include Hagai Shaham, Ara Gregorian, and Scott Conklin. Kurt Streit’s renown as a Mozart specialist has in recent years led him to further success in his broadening repertoire, encompassing works from composers such as Berg (Lulu at the Paris Opera), Britten (Death in Venice at Theater an der Wien), Pfitzner (Palestrina in Frankfurt), Janacek (Kat’a Kabanova in London, Amsterdam and Brussels, both tenor roles in Jenufa in Chicago and Amsterdam,From the House of the Dead at the Met), Wagner (Erik in Der Fliegende Hollaender in Barcelona and Munich and Loge in Das Rheingold in Frankfurt and Barcelona), Hindemith (Mathis der Maler), Berlioz(Les Troyens in Geneva, La Damnation de Faust in Madrid), Bizet (Carmen with Nikolaus Harnoncourt at the Styriarte Fesitval in Graz), Weber (Euryanthe in Brussels) and Beethoven (Fidelio in Vienna), all the while keeping his Mozart interpretations alive with the title roles in La Clemenza di Tito, Lucio Silla and Idomeneo. His specialities also include Handel (Semele and Tamerlano at the Royal Opera, Covent Garden, Jephtha and Theodora with Concentus Musicus in Vienna’s Musikverein, Rodelinda in Paris, Vienna and Glyndebourne, Partenope in Chicago and in Vienna, recorded for Chandos) and Monteverdi—both Ulysse and Poppea with appearances in Berlin, Zurich and Los Angeles. Considered one of the world’s best Mozart interpreters throughout his career, Kurt Streit has performedDie Zauberflöte in 23 different productions around the world (over 150 performances) and Idomeneo in eight different productions—in the opera houses of Naples,Vienna, Madrid, London, San Francisco and others. Performing in numerous productions of Don Giovanni, Così fan tutte and Die Entführung aus dem Serail, Streit has also featured in these and earlier works of Mozart in opera houses such as The Metropolitan Opera in New York, The Vienna State Opera, The Royal Opera House, Covent Garden in London, La Scala in Milan, both the Bastille and the Grand Opera in Paris, Teatro Real and the Zarzuela in Madrid, and on the prestigious stages of San Francisco, Tokyo, Aix-en-Provence, Chicago, Munich, Berlin, Rome and Salzburg. Streit has appeared with the world’s foremost conductors including Harnoncourt, Pappano, Muti, Rattle, Christie, Bolton, Ozawa, Mehta, Maazel, with the noted symphony orchestras of Boston, Chicago, Los Angeles, St. Petersburg, Berlin, Vienna, Paris, Boston, Florence,Stockholm, and all four of London’s major orchestras. A two-time Grammy nominee (Brahms Liebeslieder-Walzer with EMI and Bach: Cantatas with Harmonia Mundi), Kurt Streit can be seen and heard on Warner Music’s DVD of Rodelinda from Glyndebourne and Dynamic’s DVD of Idomeneo from Naples. His discography includes two complete recordings of Così fan tutte with Daniel Barenboim(Erato) and with Sir Simon Rattle (EMI), Die Zauberflöte (L’Oiseau-Lyre), Die Entführung aus dem Serail (Sony Classical), as well as Cherubini’s Mass in D-minor with Riccardo Muti (EMI) and Franz Schmidt’s Das Buch mit Sieben Siegeln with Nikolaus Harnoncourt conducting the Vienna Philharmonic (Teldec). More recently he recorded Beethoven’s Ninth Symphony with Sir Simon Rattle and the Vienna Philharmonic Orchestra (EMI) and the Mozart Requiem with Nikolaus Harnoncourt and Concentus Musicus (BMG). Mi'kmaq artist, Alan Syliboy, lives on the Millbrook First Nation reserve at the edge of Truro, Nova Scotia. His work is representative of the traditional rock art made by the Wabanaki who were part of the ancient Eastern Woodland Indian culture. "Like many others in my generation, I grew up believing that native art was generic - what you see on TV and in other mass media. But", he argues, "Visual expressions are part of what makes a culture unique, and, although Mi'kmaq designs are similar to other North American woodland tribes, you can easily recognize the difference." As a youth, Alan was unsure of his talents. "In the beginning I found painting painful and difficult because I was unsure of my identity." Alan Syliboy uses the indigenous Mi'kmaq petroglyph traditions for inspiration and developed his own artistic vocabulary out of those forms. His brushes and pens most often lead him to images of family and friends. "Most of my subjects deal with the concept of family - their searches, struggles and strength. All of these things are part of my art, and my art gives me strength for my continuing spiritual quest." With two sons and a daughter to support Alan experimented with ways of marketing his art. He had some of his images printed on T-shirts and began selling them door to door - first on his own reserve then to other reserves in Nova Scotia and the Maritime Provinces. His intuition was well-founded. "Most of my native customers hadn't known the traditional designs of their own people. Most Mi'kmaq don't go to museums on Sunday afternoons,"he quips. "But there was a sense of pride in being able to recognize the images as part of their personal heritage and wear it emblazoned on their chest." Alan says of his art, "As my exploration of painting and my understanding of Mi'kmaq spiritualism expanded, my confidence and ability grew with it. Since my family is where I'm centered, everything else is exterior." Lynette Wahlstrom is collaborative pianist at the Fountain School of Performing Arts, music director at First Baptist Church Halifax, and accompanist for the Halifax Camerata Singers & Symphony Nova Scotia Chorus. She appears regularly in performances with Opera Nova Scotia, Halifax Summer Opera Festival, Symphony Nova Scotia (celesta) and the Nova Scotia Choral Federation. In demand as repetiteur, coach and accompanist, she has worked with conductors Bernhard Gueller, Jeff Joudrey, Hilary Apfelstadt, John Trotter, Elise Bradley, and Caron Daley. Lynette is an active member of Opera Nova Scotia, Early Music Society of Nova Scotia, and the Halifax chapter of the Royal Canadian College of Organists. 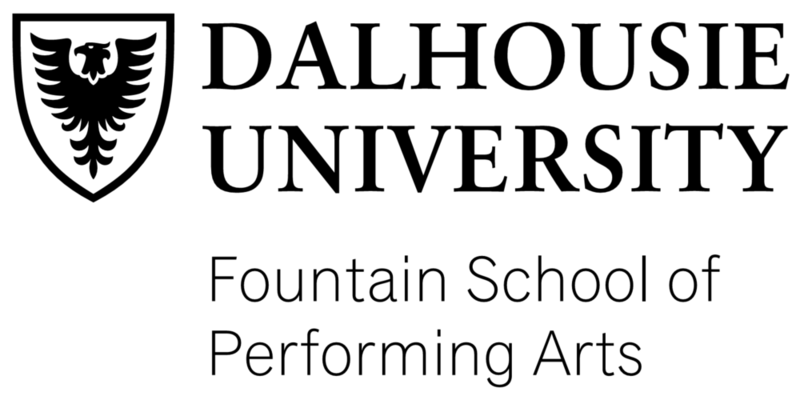 Thank you to Dalhousie University for their continued support and encouragement. We respectfully acknowledge that this concert is being held in Mi’kma’ki, the ancestral and unceded territory of the Mi’kmaq People. This territory is covered by the “Treaties of Peace and Friendship” which Mi’kmaq and Wolastoqiyik (Maliseet) People first signed with the British Crown in 1725. The treaties did not deal with surrender of lands and resources but in fact recognized Mi’kmaq and Wolastoqiyik (Maliseet) title and established the rules for what was to be an ongoing relationship between nations.